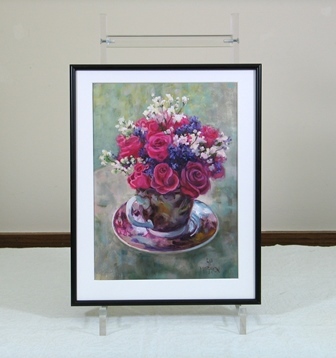 Original Oil Paintings by Artist Suzanne Poursine Massion - "Tea Time Roses"
"That which we call a rose by any other name would smell as sweet". Thank you Montagues, Capulets, and Mr. Shakespeare for a lovely inspiration. 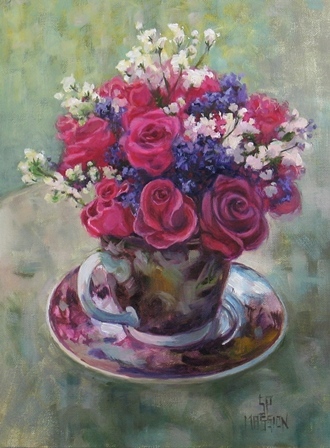 All this painting needs is a new home, a cuppa (as the Brits say), a teaspoon of honey, and some buttered Welsh Cakes. 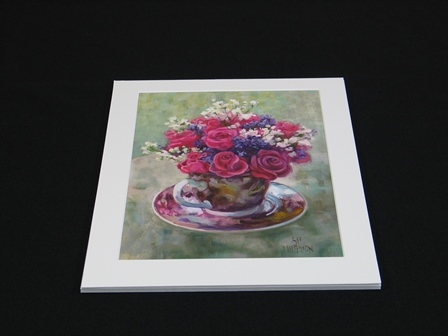 This painting is unframed but matted to a 14"H x 11"L size.